This 1896 Lutzmann will be the oldest car participating in this year’s Concours of Elegance at Hampton Court Palace (5-7 September). The Lutzmann will be displayed alongside the very latest 2014 Ferrari LaFerrari, to vividly help tell the story of the evolution of the motor car over the last 120 years. Based in Dessau, East Germany, pioneering motor car maker Freidrich Lutzmannis is described as: “Court Cutler to the Grand Duke of Saxe-Anhalt” in a period 1896 sales brochure for this car. Lutzmann was clearly inspired by the first Benz four-wheeled car to make a very similar vehicle of his own, going on to become one of the earliest German motor car manufacturers. 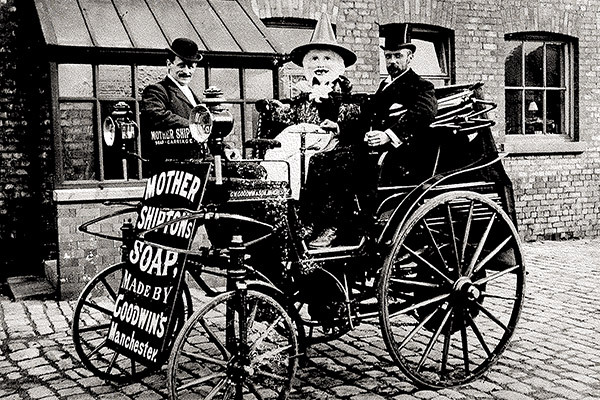 A handful of Lutzmann cars were sold in England in 1896-97, and one was also exported to Aden. In late 1898, Opel entered the motor industry by acquiring the Lutzmann plant, patents, stock, and staff, all of which was transferred across Germany to Rüsselsheim, where Opel remains to this day as one of Germany’s largest vehicle producers.